Himachal Pradesh University is a public non-profit university. It is located in Shimla at nearly 5 km away from the town of Summer Hill, comes in the vicinity of the Indian Institute of Advanced Study. It was founded in 1970. 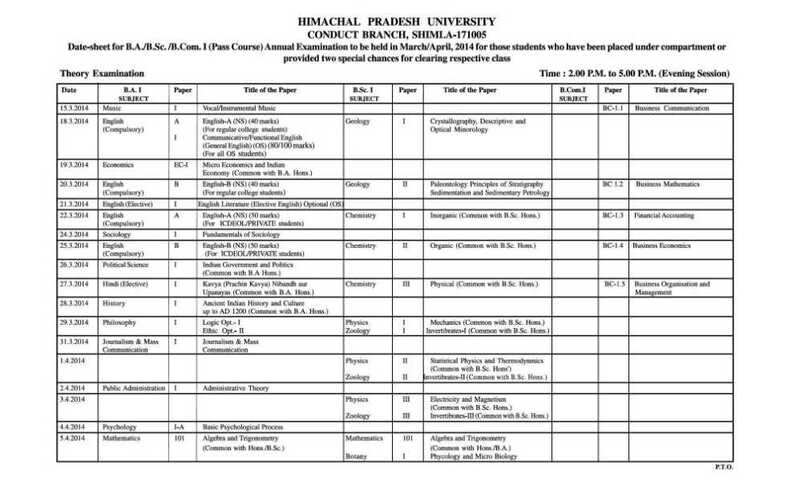 Improvement exam date sheet Kumaun University? 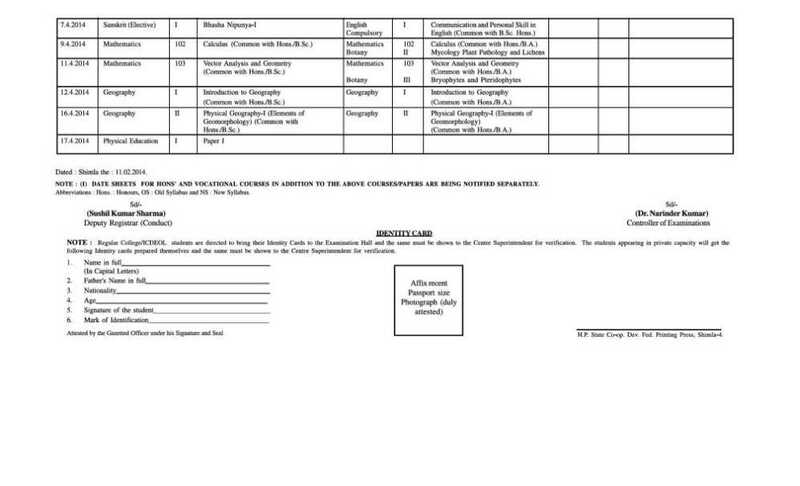 Sir i want the date sheet of BA-III, So plz send me the date sheet BA-III on my E-Mail ID mhttomar@gmail.com ok thanks! 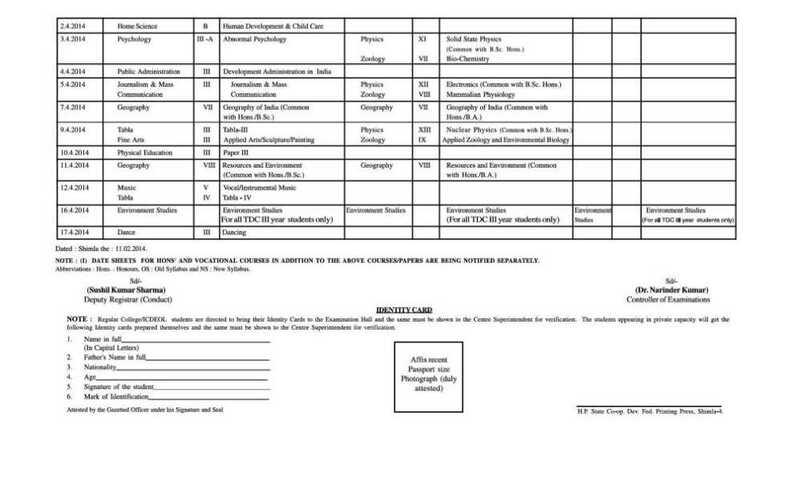 Generally for BA 1st year all courses exam of Himachal Pradesh University is held from February to August but let me know for which BA course you want to know date sheet so I can give you accurate date sheet. sir plz send me ba 3rd year pvt. 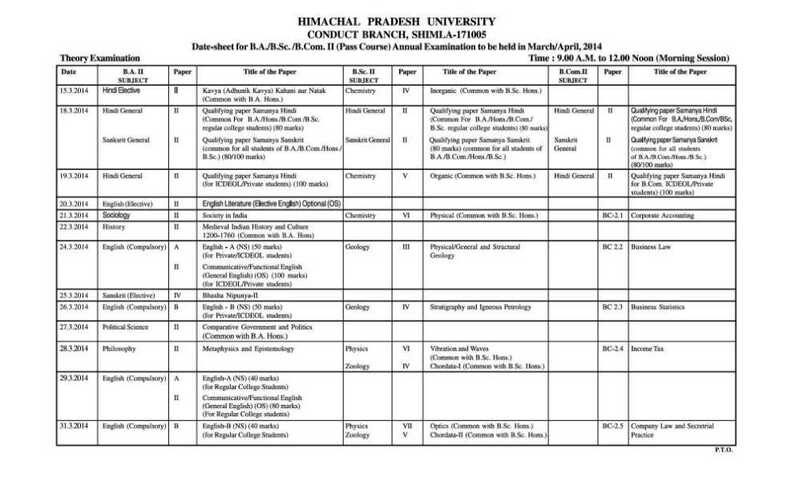 student date sheet for march 2012. 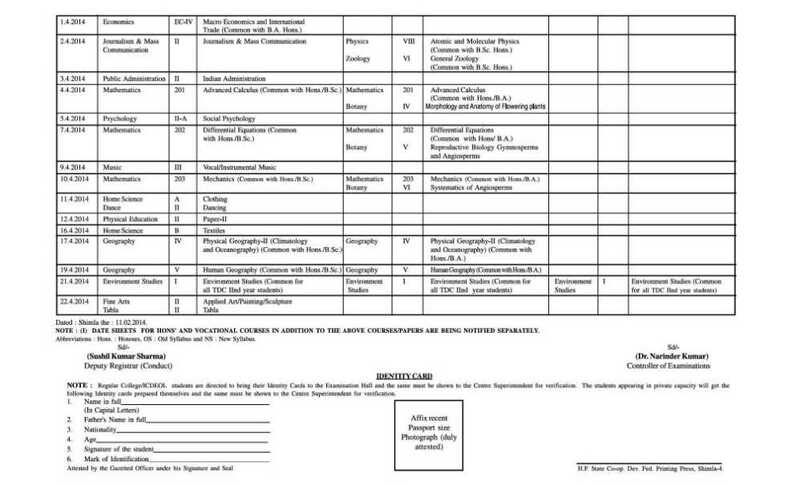 Plz send me date sheet of BA IInd Year 2012 in my Email ID i.e. "neeraj3072@in.com"
please send me ba 3rd year pvt. 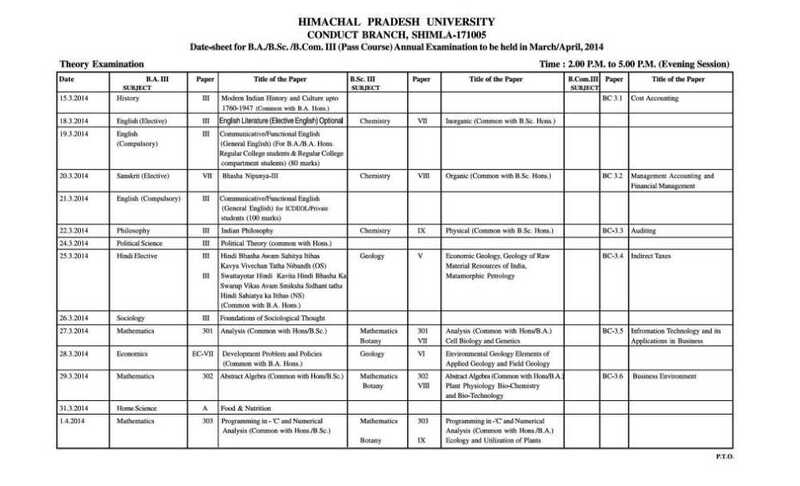 student H.P Shimla University date sheet for march 2012.